Fact: “Today we live in a world in which I can confidently say 80% of the people are dishonest”. The choice is ours, if we want to live in a world full of ‘HONEST’ or DISHONEST’ people. If we want a world full of honest people, then it’s gotta start start somewhere and the best way to begin is being true to yourself. It takes a lot of guts being honest in a world that thrives in dishonesty from the common man right up to the level of our blessed politicians. Its ‘cool’ to be dishonest..but guess what, it is so much cooler to be honest, which a lot of the people are yet to realize. I have chosen the path to being honest, a difficult one to thread on, no doubt but I know in the future if not for anything else, this is the one thing I can be truly proud of. “If you follow honesty in life then you will have to face a lot of hardship that later on you remain lonely” TRUE..very true! The above line holds true to what at least my life is at present, at least I know I’ve made a start and it’ll only get better over time. Some people cannot handle the truth, yes! I understand, truth hurts..but isn’t it better to hear the truth that being told a lie throughout..the truth’s gonna come out sometime or the other and you have to face it. I know I am asking for trouble but then at least people will know if they have to be friends with me, its HONESTY we will share. Time-tested truth: “Honesty is the best policy”. The following story of ‘Star fish’ tells us what the little good things we do can make a difference. *An old man walked across the beach until he came across a young boy throwing something into the breaking waves. Upon closer inspection, the old man could see that the boy was tossing stranded starfish from the sandy beach, back into the ocean. “If the starfish are still on the beach when the sun rises, they will die, ” the boy answered. “That is ridiculous. There are thousands of miles of beach and millions of starfish. It doesn’t matter how many you throw in; you can’t make a difference. “. Honestly is all I know or care about anymore. I agree with this. Like why one earth one would like to be Dishonest? Why? Why not be honest and make a relation stronger? I sometimes ask myself this question. But no answer. what if I told you ‘being honest’ got me fired ~ that too without notice. Sometimes being good at your job isn’t enough..! 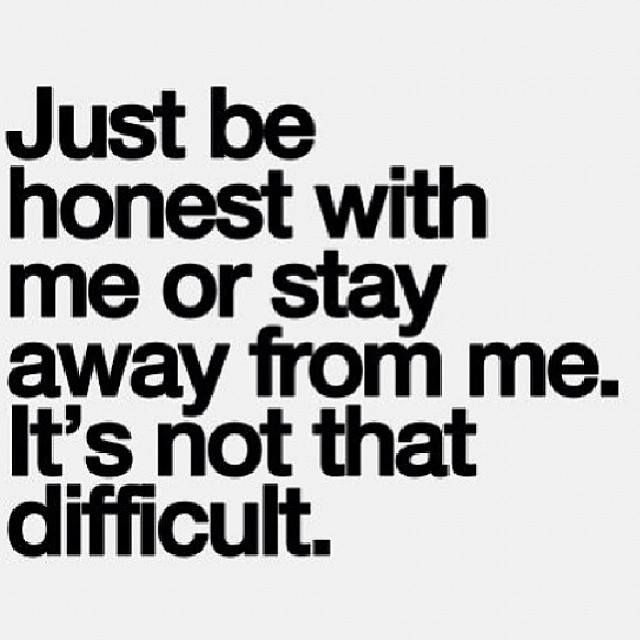 But being honest is worth it! This is something I’ve been thinking about a lot lately. I really do wish honesty was more common than it is now.